On Nov.13th, 2017 from 7:00 – 9:00pm ARCAC and SOFAAR had lots of fun collaborating on a celebration of ART SOX. 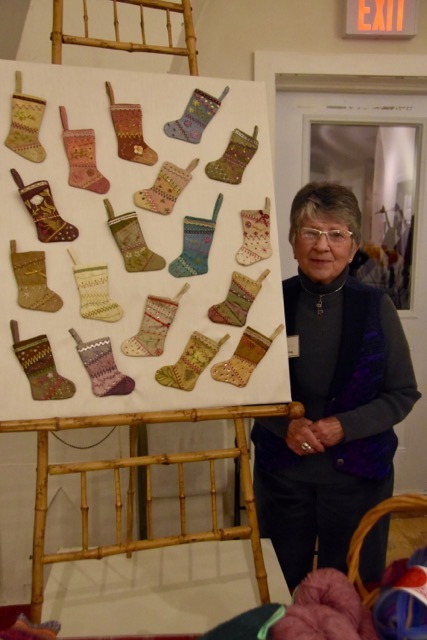 10 pairs of special socks as well as a museum set featuring famous paintings were displayed and raffled off following a brief and often humerus presentation of each artist by Ted Lind. 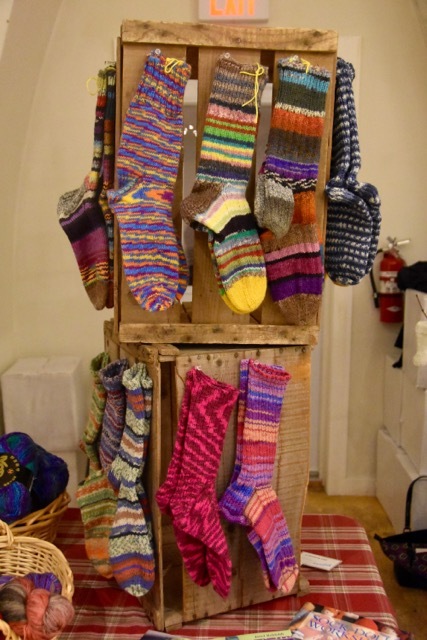 SOFAAR members created displays of rare and unusual socks as well as gorgeous colourful socks and hand dyed wool. 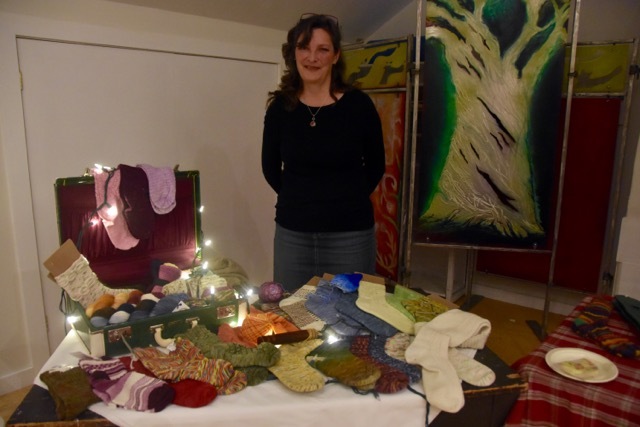 Cheryl den Hartog kept us “in stitches” with her amusing description of “Turning the Heel”. 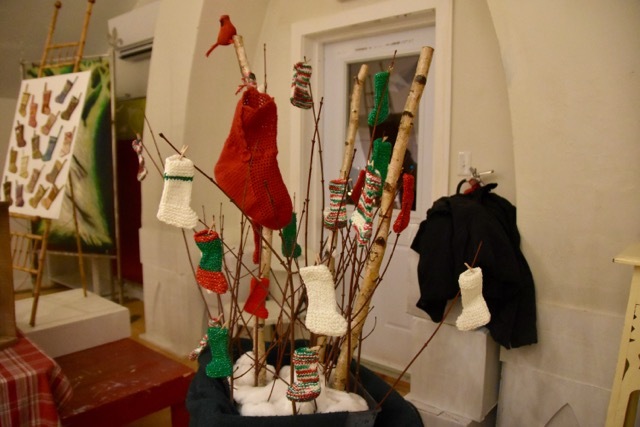 Numerous sock knitters were knitting & in one case, crocheting! socks through-out the eve. The eve. was topped off with coffee, tea and an artistic display of individually decorated “sock cookies” by Lola’s. Can’t wait to see what our next collaboration with ARCAC will feature. It’s bound to be a combination of a little education and a whole lot of fun!